Allen Fitzsimmons is the CEO of Transitioning Forward, a business that liquidates home furnishings and real estate. Allen Fitzsimmons, of Belchertown, MA, sells antiques and other furnishings, as well as homes for those needing to transition to a different situation. In a traditional home sale, a house is listed with an agent, and the family that is selling packs up the household furnishings and accessories, rents a mover or truck, and goes to the next destination. However, non-traditional sales often occur in resort areas and in upscale neighborhoods. The sales are unusual because the buyers want not just the homes, but also the contents. Buyers are asking for turnkey homes. The turnkey sale is more popular with celebrities and international buyers that don’t want to deal with movers and boxes; they want to buy the property today and sleep in the bed tonight. Many new home owners want to be able to rest after they buy, and moving is not restful. When purchasing a home with all the accessories, the real estate contract becomes complicated. Every item included in the sale must be listed on the sales contract and photographed; these items all have a line item on the contract. When this sale is a cash deal, everything goes smoothly, but if financing is involved, a mortgage company will not finance furnishings. The buyer must pay cash for those items or arrange separate financing. Allen Fitzsimmons wanted to use his years of business experience to help people with the practical details of life transitions, and Transitioning Forward was his answer. Allen Fitzsimmons’ company can help individuals who have amassed too much clutter. Many people want to simplify their lives by reducing clutter and parting with possessions that they no longer use. A significant body of research supports the positive effects that a more minimal lifestyle can have on productivity, health, and well-being. For example, a 2013 study found that keeping a tidy desk was correlated with healthy eating. The Huffington Post spoke with a psychologist who said that tidiness helps some people cope with stress, making life feel more manageable. A study by the Princeton University Neuroscience Institute found that a cluttered environment negatively affected focus and made it more difficult to process information. Still, it can be difficult to know how to begin. One potential roadblock to decluttering is figuring out what to do with the things you’ve decided to get rid of. Transitioning Forward takes care of the details of selling unwanted belongings, promising the highest value to clients. Founded by Allen Fitzsimmons, Transitioning Forward is a company dedicated to making the process of moving and downsizing as simple as possible. Using his background in real estate and business, Allen Fitzsimmons has built a business that helps people sell their homes and belongings. Transitioning Forward assesses client’s needs and then takes care of all the details. Downsizing your home can be a way to save money by minimizing your expenses. If you have gone through a life change, such as children leaving home or a job offer in a new location, moving to a smaller home can lower your expenses without sacrificing quality of life. One major way downsizing can save you money is on mortgage payments. For many homeowners, a mortgage payment is the largest monthly bill, and moving to a more affordable home can bring those costs down. 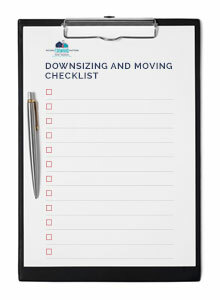 Downsizing also can lower yearly real estate taxes for considerable savings. A smaller house is also likely to require less maintenance and have lower utility bills. Allen Fitzsimmons holds a BA in economics and political science and an MA in management. A successful entrepreneur, Allen Fitzsimmons founded Transitioning Forward in 2013. Yard sales and flea markets are popular but inefficient ways for individuals and families to recycle clothing, appliances, furniture, and other goods while making some money in the process. Businesses also need to divest themselves of unwanted or unused furniture, equipment, and supplies, sometimes as part of moving or downsizing, or simply to clear space to accommodate new purchases. Unfortunately for the sellers, there’s no shortage of stories of people who’ve bought items for a small sum and resold them for hundreds or even thousands of times what they paid. Indeed, collectors and dealers regularly visit yard sales and flea markets in hope of finding valuable items and buying them for far less than their actual value. The very casual atmosphere of most yard sales also opens the door to pilferage. Transitioning Forward inventories, appraises, and sells unwanted items for clients, regardless of the reason. Key to this process is the appraisal, conducted by licensed experts and which often uncovers items of unexpected value. Another critical element of the firm’s service is its conduct of the sale itself. When appropriate, the firm markets the items professionally to a geographically diverse marketplace, rather than restrict itself to an on-site sale, and handles all aspects of each transaction, including packaging and delivery of items to purchasers. In addition to conducting sales for clients, Transitioning Forward works with law firms and real estate professionals to appraise items for estate valuation, divorce settlements, and impending moves.